Embracing the future: internet distribution. Not all my clients wish to make their music available via CD -- some prefer to offer their music directly as internet downloads. 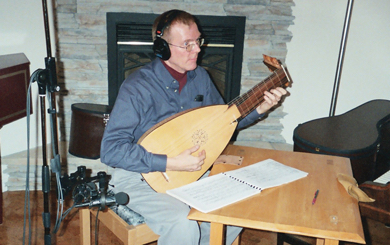 The first people I worked with to do this were some old friends, Susan Adams and Clive Titmuss of The Early Music Studio in Kelowna B.C. In August and again in December 2004, I set up in their home/studio to record several works that were subsequently offered for sale at Early Music Studio.com. View pictures from the Early Music Studio Sessions. 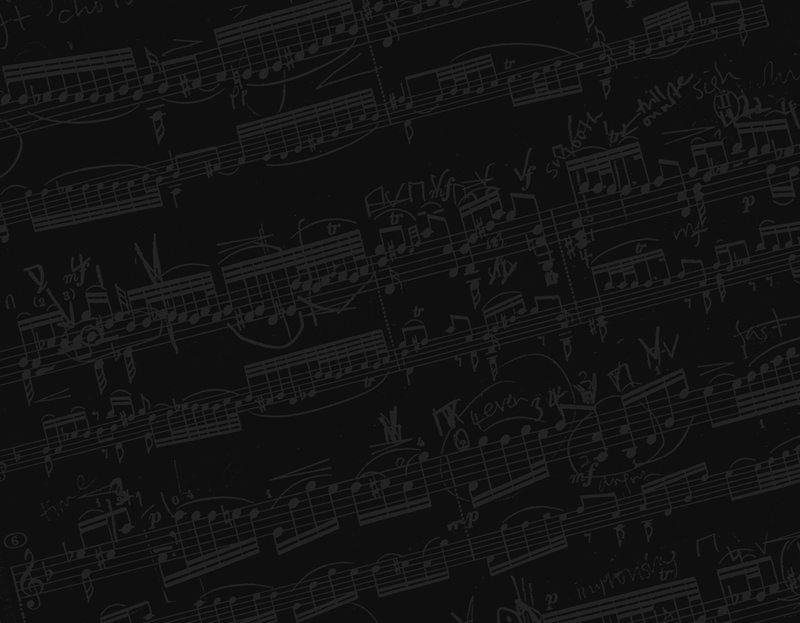 Examples can be heard on the Early Music Studio Listening Page. 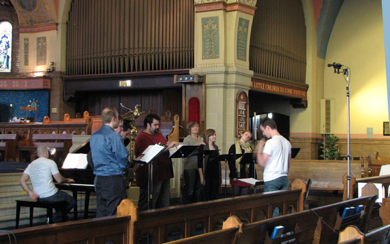 More recently, in November of 2011, I worked with Juno nominated composer Rob Teehan, who wished to have some recordings of his choral writing to help publicize his works via his Rob Teehan.com. We recorded in the historic St. Anne’s Anglican in Toronto, (a National Heritage site, which features frescos painted by members of the Group of Seven). View pictures from Rob Teehan Choral Session . Examples can be heard here.